The BETFOR Association Website. 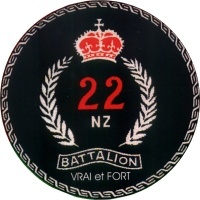 BETFOR was the British Element Trieste Force that took over the control of Trieste a few days after the city had been liberated by the 22 Battalion. BETFOR was finally withdrawn in 1954. A collection of photographs from 2 May 1945 and a description of the arrival of the New Zealanders in Trieste (in Italian).